Based on a recommendation we had Pina as our guide for Herculaneum and Pompeii for our family of 6 adults. We could not recommend her highly enough. She had incredibly up to date knowledge, was able to answer all of our many questions in great detail and also as a local answer our questions about the area. There was no taking us to places selling souvenirs that you don't want as we have experienced with other guides. We also arrived at Herculaneum early enough to miss the crowds and to go and have a local coffee and pastries at a place Pina recommended that was fantastic. Pina made both sites come alive for us and without that, you simply would not get the appreciation of the extraordinary history of these places. She was engaging and fun and we could not recommend her highly enough. I was the trip leader for a 42 person group a few years ago. I was given the name of Pina and her tour guide partner, Luciana Coppola. They arranged the bus and boat transportation to Pompeii, Positano, Rome, Amalfi and Capri. They would take turns as guides on a daily basis. What was the absolutely biggest highlight of the trip was the lunch they scheduled for us in the hills above Positano at a wonderful restaurant. It was the most fun our ski club members have ever had a planned meal. The meal was outstanding and the restaurant made a special meal for our g-free participant. On the other trips, if we wanted, they would call ahead and try to set up fixed lunch (with 1-3 choices) at a reasonable price. All of the places set up by Pina and Lucianna were great. When you have 42 people who want lunch in a small town, it's often hard to accommodate a group of that size in a timely manner. We were always seated and served immediately. In Amalfi and Capri, they also talked to locals who had boats who could give us a coastline ride/tour at a very reasonable fee. Thanks to Pina and Lucianna for providing our trip participants (both seasoned European travelers and first-timers) with an unforgettable experience. Pina was recommended to us by some friends who had used her for a tour with their family, so naturally we followed their recommendation. Pina was super responsive when we first contacted her, and gave us good directions to get from Naples to Pompeii (which is tricky by train!). Her tour of Pompeii was excellent, personalized to fit our wants and desires, with an overwhelming amount of history to consume! She really made the experience come alive for us. Also, we did not waste time as did the larger groups waiting in line for a few of the main attractions, but instead were allowed to pass because her colleagues obliged us to do so (probably saved 20 minutes or more!). She is very animated and enjoyable to listen to, plus a very personable and sweet lady! She not only gave us an historical tour, but a truly Italian cultural experience we wouldn't have had otherwise! By the end of the tour, we were walking around with a new friend!! We wouldn't hesitate to call her up again if we were back in Italy! Great job and thanks a million Pina! Ciao!!! After a lot of searching on google and various sites we decided to book with Pina for our Pompeii tour, travelling with 3 children meant we had to find a family friendly guide and Pina was perfect! She was so patient with our children, making everything very intriguing for them, my daughter can still talk for 20 minutes about Pompeii and her history teacher loves her for it. 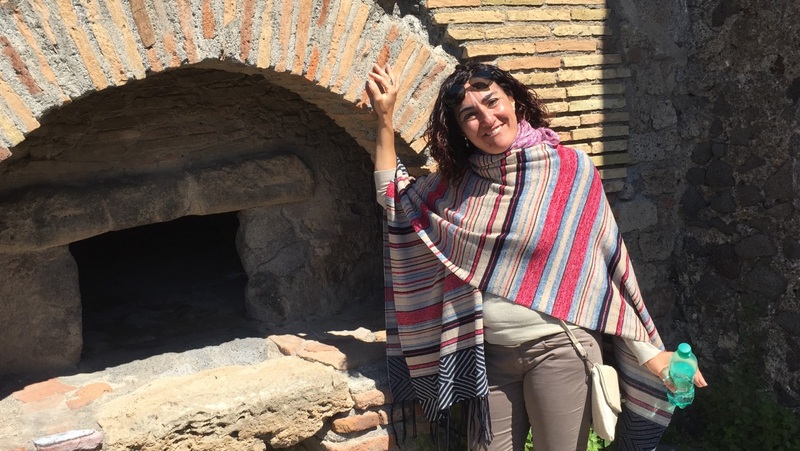 If you want a Pompeii guide full of knowledge and passion Pina is your guide. I have never left a review after a service received but after I met Pina and I had such an unforgettable experience in Pompei I felt I had to share my experience. I came with my wife and our three children to Pompei as it has been always a dream of ours and we used Pina services.Her huge knowledge and unique way to deal with our kids being able to explain such an important historical Italian treasure in a very and easy understanding language for the kids it has really made a difference. Pina not only has un unbelievable cultural and historical knowledge of Pompei but also the surrounding areas. She offers a very reliable service in a kind a friendly way.We will definitely coming back and definitely recommend her to everyone. Thank you Pina. We have been very fortunate to have enjoyed the services of Pina on two occasions. The first time was back in 2011 when we visited Naples to get us around and visit amongst other places Pompeii. It was there that we were introduced to Pina who showed us round that most famous of historic sites. We were absolutely delighted with the service and the tour that Pina provided and so when we knew that we were going back I decided to try and track her down for another tour. 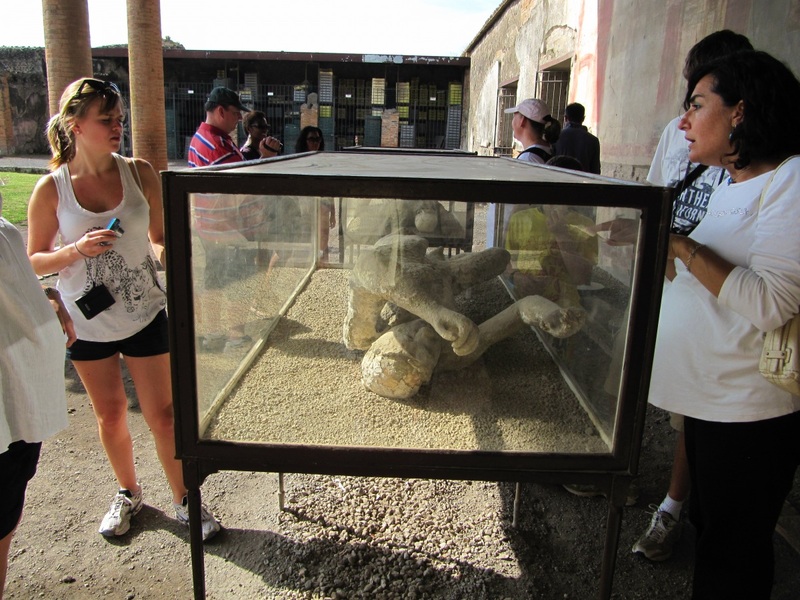 Luckily for us Pina has her own website which enabled us to make contact and book a second tour of Pompeii on 24 July 2013. Again we enjoyed the knowledge and passion that Pina has for the area, so much so that next time we visit Naples we aim to visit Herculaneum and Pina will be the one to show us round. All being well Pina, we will see you in 2018. Ho avuto la fortuna di conoscere Pina, grazie agli amici di Colangeli, società trasporti romana, durante l'allestimento del tour Italia centro meridionale "autunno 2016" dell'Istituto di Cultura di Portimão, dove insegno. É stato un incontro indimenticabile e, come guida, ho avuto il piacere di lavorare con una collega che per prima cosa dimostra la sua passione per il nostro lavoro mettendo, a disposizione del gruppo, le sue conoscenze in modo semplice e percepibile a tutti. Il sorriso sul suo viso è un altro incentivo per chi la ascolta e segue le sue spiegazioni. Abbiamo denudato, grazie a Pina, Napoli, Pompei ed Ercolano, come fossero una banana sbucciata. Spero in futuro di poter collaborare ancora con lei. Scripta et verba manent.